Whenever Toronto or any city for that matter reports spectacular price increases we hear from the “economists” about “bubbles”. I hate this expression because it does not relate to what occurs when a housing market slows down. It only relates to a housing “collapse”, which rarely happens in Canada. We will see Toronto average home price rise 20-25% this year. We will likely see 10-15% in 2018. There is nothing that will stop this short of an “outlying event”, such as terrorism, government lunacy, or war. There are reasons why our prices are rising. They include; large population growth, scarcity of high rise land downtown, enormous local planning restrictions and delays, scarcity of freehold land in the 416/905 and enormous investor interest abroad. Toronto is now considered the top city for real estate investment for many foreign buyers around the world. We all need to calm down. We will not see this growth beyond 2018. 2019 will fall back to 3-5% price growth as the pent-up demand and scarcity issue get resolved, and they will get resolved. We will see typical condo prices in the core hit $1000 PSF by 2020. This is where they should be. Toronto is a big, rich, fun, safe, and walkable city. It does mean that some people will be priced out of the market. Young people will choose to live at home longer, rent homes with friends, buy property in more affordable parts of the area around Toronto, just as they do in London, Hong Kong, Paris, New York, Milan, Berlin and dozens of other great cities. As for economists calling for a “Bubble”, I would look at their track record. Not a single career economist has called our real estate market correctly since 1995. 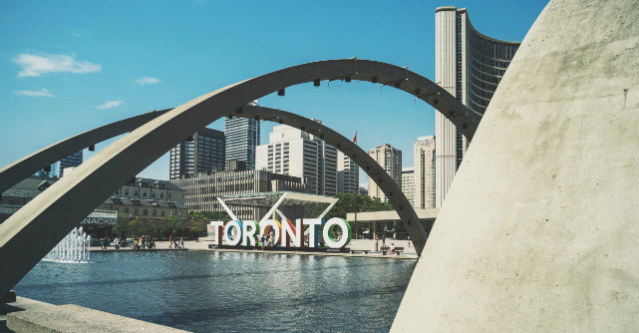 Read this for more on Toronto’s status as a great investment city for foreign buyers.